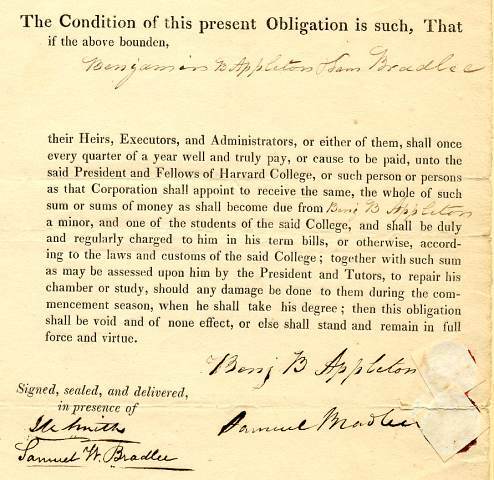 Harvard College Tuition $400 Bond for Benjamin. 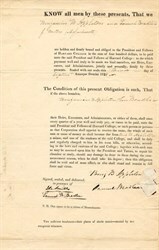 B. Appleton, a minor which was guaranteed by Samuel Bradlee. Also signed by Witnesses, Samuel W. Bradlee and W. Smith. 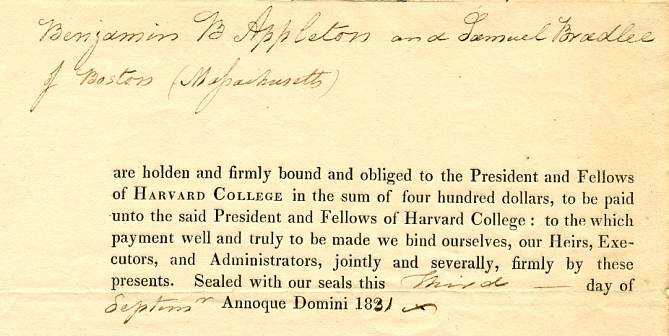 Benjamin Barnard Appleton received his Bachelors of Arts from Harvard University in 1835 and received his A.M.; M.D. in 1839. He died in 1878. Some signs of wear on the folds but overall fine condition. First time we have seen this.